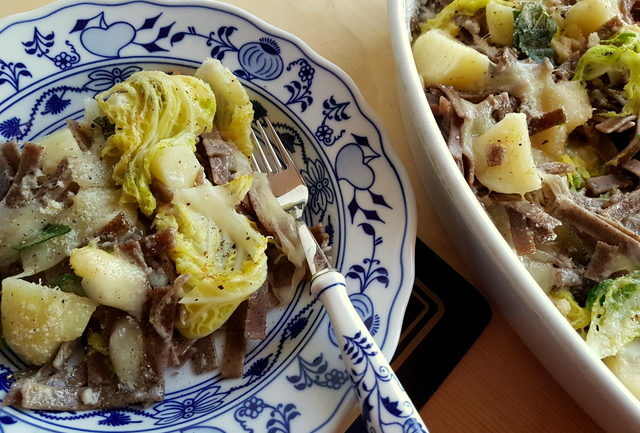 Pizzoccheri alla Valtellinese from the Italian Alps. 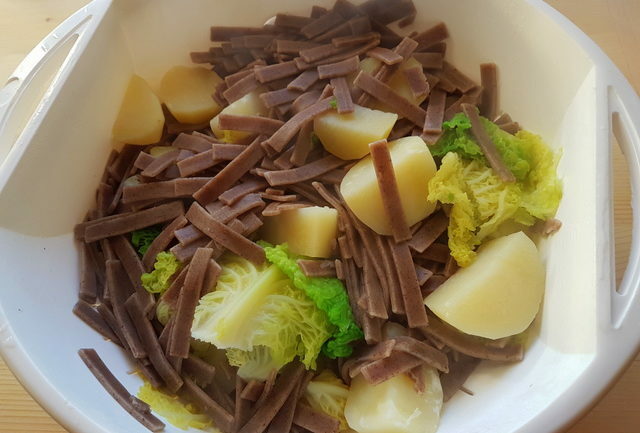 The other reason this dish is unusual is the inclusion of potatoes. 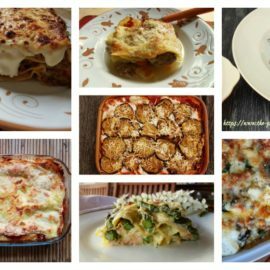 Although there are a number of Italian pasta dishes with potatoes as an ingredient, they are more likely to be cooked at home than to be found on restaurant menus. 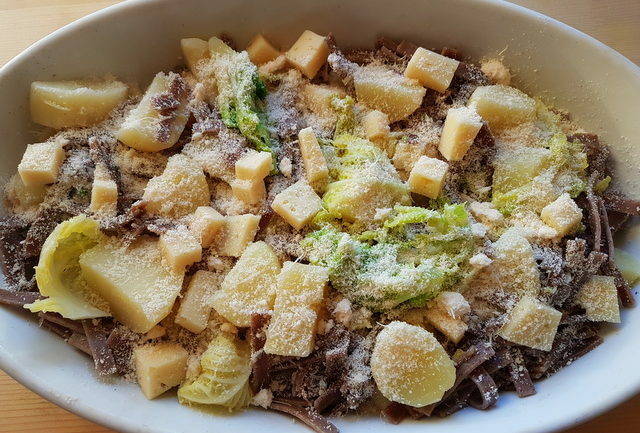 Pizzoccheri alla Valtellinese, on the other hand, is considered the signature dish of traditional Valtellinese cuisine and is commonly on offer in trattorias and restaurants in the area. 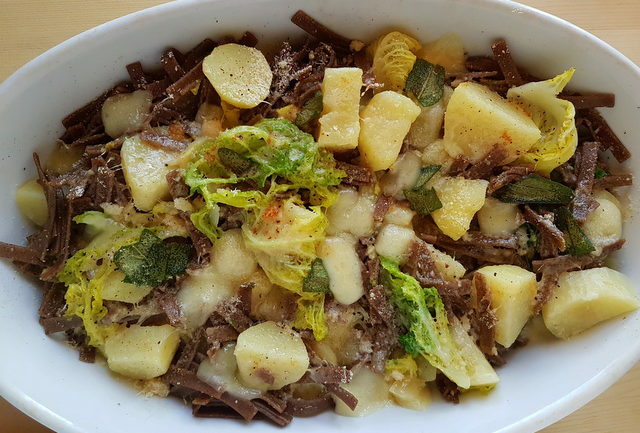 I think of pizzoccheri alla Valtellinese as an Italian version of Swiss raclette because the recipe includes quite a lot of cheese and the predominant flavours, apart from the pasta itself, are cheese and potatoes. 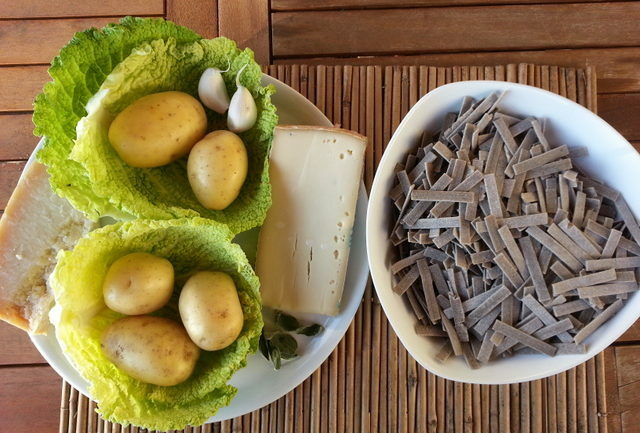 It’s also a winter mountain dish like raclette,which is normally eaten with potatoes. 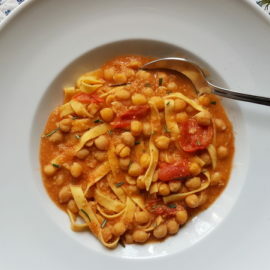 Although the seemingly simple ingredients of this pasta recipe may have you thinking it is a bland dish. You would be much mistaken. The addition of lots of cheese and a good dose of butter, melted to a glorious frothy, golden garlicky brown, make this a tasty and satisfying dish that will leave you saying no to dessert! 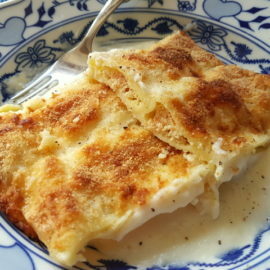 The cheese traditionally used in this recipe is either casera or bitto. Casera is a cow’s milk cheese produced from milk that comes from herds in the Valtellina valley. It’s produced according to a tradition that is hundreds of years old. Bitto is made from summer milk from herds grazing on the hills of the valley plus a small percentage of goat’s milk. Both casera and bitto can be hard to find outside of Lombardy, the region where the Valtillena valley is located. You can replace them with fontina or gruyere. I used fontina. Some changes to the original recipe! I must confess I made a couple of changes to the official pizzoccheri alla Valtellinese recipe.. Yes there’s an official recipe published by an organization called L’Accademia di Pizzoccheri di Teglio! My changes were based on other recipes I found and my husband’s partiality for pancetta! You can watch pizzoccheri being made in the Valtellina in this video from Pasta Grannies. Firstly, I reduced the amount of butter and I added some sage to it because I love that salvia e burro combination and I baked the dish rather than serving it unbaked. I actually made two dishes. In one, I put pancetta at my husband’s request. The other, I left without. The pancetta certainly gave it a different flavour, but I have to say I preferred the recipe without pancetta and more or less as it is intended to be. 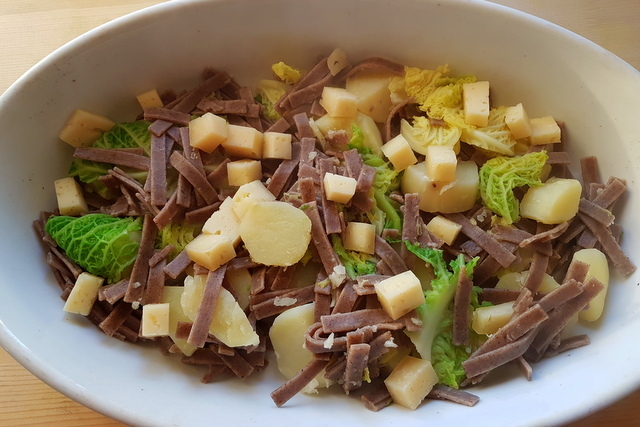 If you cannot find pizzoccheri, this recipe can also be made with other types of buckwheat or whole wheat pasta short pasta or flat ribbons cut into pieces. 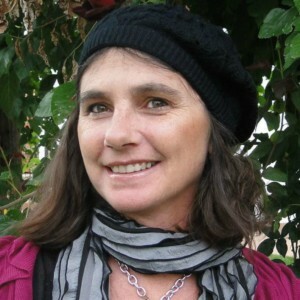 I hope that you’ll try it and let me know what you think! This dish was made for me! Lots of cheese! I have never seen buckwheat pasta. Sounds like a good, healthy substitution! Your recipes are amazing and you’re so good at it. 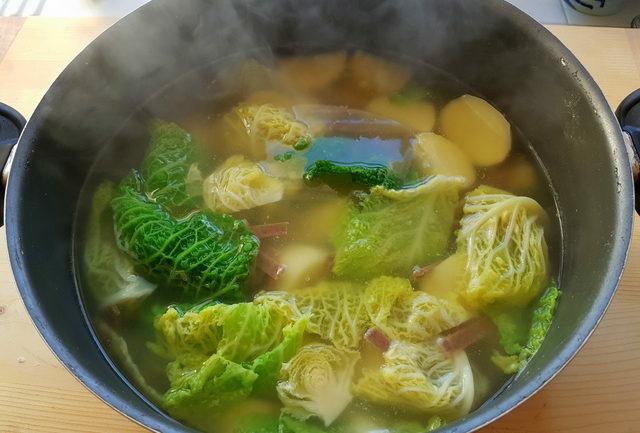 Thank you for sharing this healthy and delicious recipe. Yum! Yum. I really like the changes you made to the recipe as I love pancetta too!! This looks absolutely delicious!